Developing Asia To Be Buoyant To The Global Downturn, Says Asian Development Bank. Developing Economies in the Asian region would be more resilient to the global downturn than was initially thought, the major ADB report says. Asian Development Bank on Tuesday has published its report on the Asian Region forecasting the economic growth for year 2009 and 2010 at 3.9% and 6.4% respectively. According to the ADB, despite the worsening economic situation, developing Asia is poised to lead the recovery from the worldwide slowdown. Active response from the government and healthy financial system in the region has fuelled the economic growth and insulated the region from the worst economic crisis to certain extent. India Economy in particular, ADB has raised the growth forecast from 5 per cent to 6 per cent for the year 2009, and 7 per cent for the year 2010. The key drivers for Indian economy to survive is quicker than expected return on capital, huge capital inflows, increase public spending, Industrial production is improving, however the risk of downside in the economy due to weaker exports, weaker agriculture output expectations has been minimized by the way of announcing stimulus packages and monetary policies which has maintained the financial system in working condition, although the agriculture output is expected to revive by the last quarter. According to the ADB, 2010 would be better for the economy as the industrial economies is supposed to be out of recession, thus the exports will likely to turnaround and it will cut the overall trade deficit. Maximizing the benefits from labor mobilization. This report is officially published by the ADB and the content used in this post has been taken from the report of Asian Development Bank. VMW is not intended to disseminate this report and has been published on VMW Blog for the information purpose only for the visitors. Economy in Crisis: Global Markets Loses Extended to $50 Trillion, South Asia Can Weather Economic Crisis. Asian Development Bank study says, there is further room for interest rate cut is available in India and need to diversify their economies to reduce the impact of global financial crisis and larger Gov’t deficits. Asian Development Bank's Headquarters in Manila, the Phillippines. According to the new study by the ADB, the Global financial markets losses have reached $50 trillion (Rs.2.5 Quadrillion or Rs.2.5 followed by 14 zeroes) mark. Losses on financial assets in Developing Asia in 2008 totaled $9.8 trillion. The total measure of losses includes reduction in value in Equity and bond markets including those backed by mortgages and other assets and depriciation of many currencies against the US Dollar, however it does not includes the derivative products like Credit Default Swaps (CDS). According to data available with the VMW, the total outstanding of principle amount of CDS equals to $50 trillion alone, and it will further instensify the total losses. Study shows the recovery can only now be contemplate for the late 2009 or early 2010. Data provide close connection between the economy and markets, therefore, the emerging economies are in mid of the crisis and the next 12 to 18 months are very crucial. The good news is that, the South Asia (including Indian Subcontinent – India, Sri Lanka, Afghanistan, Pakistan, Bangladesh, Nepal, Bhutan and Maldives) Economies can weather the current Economic downturn by taking both short term and long term measures to stimulate the domestic demand and their economies. The number of short term measures have been taken to cushion the impact of this crisis. In India, the Government has already announced the three Economic Stimulus Packages to stimulate the economy. Particularly in India and Sri Lanka, there is enough room available for more rate cuts. It means, the expectations from the central bank to brace the economy is still alive. Government could also consider incentives to encourage overseas workers to remit money home, they should also discuss currency swap arrangements and other measures to keep their financial systems stable. However, in the long term, South Asian nations need to reduce their fiscal deficits, diversify their economies, step up infrastructure investment and boost intra-regional trade to take up the slack of lower demand from G7 nations. Source: Asian Development Bank and VMW. Lending Rates For US Dollar Loan & Japanese Yen Loan BY ADB. 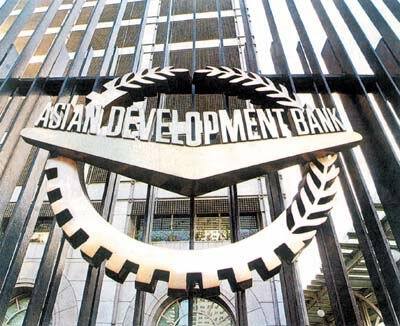 The Asian Development Bank (ADB) has revised its lending rates for both its US dollar and Japanese yen loans. For the period 1 July to 31 December 2008, the lending rate for US dollar pool based loans will decrease from 6.12% to 5.64%. This reflects the average cost of borrowings 5.24% per annum from 1 January to 30 June 2008 plus a spread of 0.40% per annum (representing a lending spread of 0.60% less a waiver of 0.20%). During the same period, the lending rate for the Japanese yen pool based loans will increase from 1.90% to 1.98%. This reflects the average cost of borrowings for the pool 1.58% per annum from 1 January to 30 June 2008 plus a spread of 0.40% per annum (representing a lending spread of 0.60% less a waiver of 0.20%). ADB has also announced its rebate for LIBOR based loans for the period 1 July to 31 December 2008. For general US dollar LIBOR based loans, the rebate will decrease from 0.34% to 0.33%. For Japanese yen LIBOR based loans, the rebate will increase from 0.31% to 0.39%. This reflects the average sub LIBOR cost of borrowings during the period of 1 January to 30 June 2008. For LIBOR based loan that was converted from the pool based loans, the rebate will be 0.08% for US dollar loans and 0.07% for Japanese yen loans.